Erin Wood, Et Alia Director, publishes, edits, and writes in Little Rock, Arkansas. She is the editor of Scars: An Anthology and the forthcoming Women Makers of Arkansas (spring 2019). Experience editing dozens of books for Et Alia and other clients, and the manuscripts of more than 500 writers at all levels and across genres, informs her as she edits energetically and thoughtfully. Her experience as a writer also influences her work with authors. Her essay “We Scar, We Heal, We Rise,” was chosen as a notable in The Best American Essays 2013. Her work has appeared in The Rumpus, Catapult, Psychology Today, Ms. Magazine's Blog, Entropy, The Woven Tale Press, Tales from the South, and elsewhere. Erin has an AB in English from Duke University, a JD from Georgia State University College of Law, and an MA in professional and technical writing from University of Arkansas at Little Rock. Visit her at Wood Writing and Editing. Amy Ashford, Graphic Artist, illustrates and designs from her hometown of Baton Rouge, Louisiana. She holds a BFA from Louisiana State University with a concentration in Printmaking. In addition, she has studied at SVA and Parsons in New York City. Projects for Et Alia include the interior layout and cover design for 100 Insects of Arkansas and the Midsouth, The Mud & The Lotus: A Guide and Workbook for Students of Yoga, and the covers of The Only World You Get and Can Everybody Swim? Her other clients include Chelsea Market Baskets and The Savory Pantry, which both fuel her passion for food and drink. Visit her at Ashford Design Studio. Kaitlin Lowe, Publisher’s Assistant, is a junior English major at Hendrix College. She writes for Hendrix's newspaper, the Profile, and serves on the staff of a literary magazine, the Aonian. She reads and writes about reading at ReadWriteRevue. Liz Larson, Et Alia’s Fall 2018 Intern and Copyeditor, is a member of the Arkansas Writers MFA Workshop at the University of Central Arkansas. She is a photographer, artist, and writer exploring Central Arkansas’ past through fiction and a wry lens. She serves on the staff of Arkana and blogs about place at marrowandbone.blog. Victoria Mays, 2018 Intern, is pursuing a MFA in Creative Writing at the University of Central Arkansas. She is a freelance editor and writer. 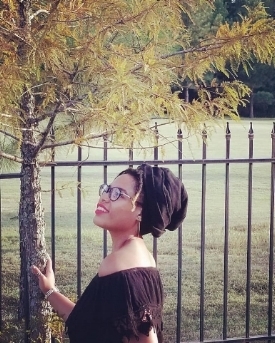 When she’s not crafting stories, she is inspiring people through her blog, Soul-Liberation. Vivian Boe, Summer 2018 Intern, is a native of Little Rock, Arkansas, where she graduated from Mount St. Mary Academy. Now a rising Sophomore at Davidson College in North Carolina, she plans to major in English with a minor in Gender and Sexuality Studies. In her free time, she enjoys trying to make a dent in her room’s ever-growing stack of books. Kathryn Oliverio (“Kathy”), Layout and IT, is the Academic Editor and Director of Military Student Success at University of Arkansas at Little Rock. Prior to joining the UALR Provost's office, Kathy served for 20 years in the Air Force, retiring in 2000. In the Air Force, Kathy held various senior-enlisted leadership positions, and was a military training instructor (drill sergeant) for 7 years. She holds an MA in Professional and Technical Writing from UALR. Projects for Et Alia include the index for The Mud & The Lotus: A Guide and Workbook for Students of Yoga, and the interior layouts for The Only World You Get, Can Everybody Swim?, Scars: An Anthology, and The President Next Door. Jesse Nickles, Graphic Designer, is an illustrator + graphic designer from Springfield, Missouri. He graduated from Missouri State University in 2010 with a BFA in graphic design. He is co-owner of a print design service on Etsy called Atomica Press, which he runs with his talented wife, Ashley. Jesse's Et Alia projects include cover design for Scars: An Anthology, The President Next Door, and Blood and Milk, as well as our logo design.